Dealing with piano parents has never made me anxious. Meeting a new student has never made me nervous. Speaking at recitals in front of large audiences has never given me the jitters. In the aforementioned scenarios, I am a rock. What has always rattled me however, was trying to squeeze all of my lesson activities into a 30 minute block of time. And I don’t think I’m alone; many teachers feel my time management pain. In a perfect world, lesson plans are executed to the minute. But we’re dealing with children and they work on a schedule very different than our own. So, a piano teacher has two choices when it comes to time management: 1. complete whatever gets completed, or 2. find creative ways to light a fire under your students and complete everything! As you may have guessed, we’re going to help you take the creative approach. 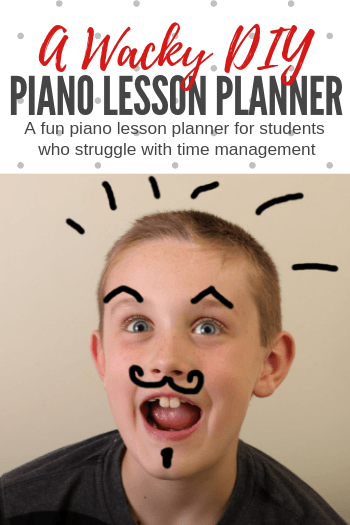 In today’s post, we’re sharing a wacky DIY piano lesson planner that will make sure you and your students tick off every box on your 30 minute lesson plan. If a piano teacher is not careful, she can easily spend 15 minutes of a piano lesson getting tutored in Pokemon, Fortnite, and JoJo Siwa. So it’s important that you capture your students’ musical attention the moment they walk through the door. And there’s no better way to capture their attention and get them ready to progress through your lesson plan than with our DIY Wacky Portrait Lesson Planners. As Victor Borge famously said, “Laughter is the shortest distance between two people,” and it’s true; using humor as a piano teaching tool is an incredible way to get your students on board with your lesson plan. Our DIY Wacky Portrait Lesson Planners will be an instant (and hilarious) hit in your studio. 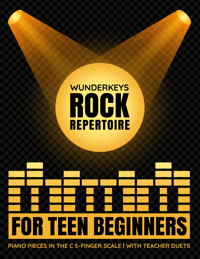 Getting your piano students to do even the most tedious of music tasks will become a cinch! Want to know how to make it happen in your studio? 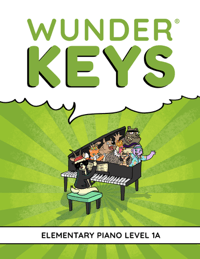 To use this activity in your piano studio you are going to need to make a Wacky Portrait Lesson Planner for each of your students. Fortunately, this is as easy as snapping quick head shots of your students, printing the photos out as 5 x 7 or 8.5 x 11 portraits, and then laminating the images. Once you have the laminated images, all you need is a dry erase marker and your Wacky Portrait Lesson Planners are ready for action. 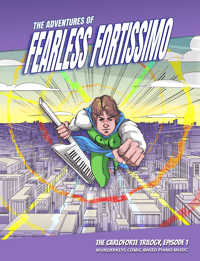 The Wacky Portrait Piano Lesson Planner is designed as a tool to motivate your students to move efficiently through the activities in your piano lesson plans. 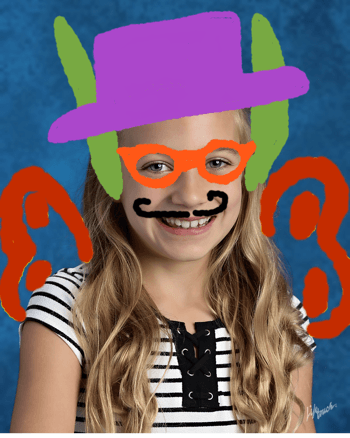 As your students complete each activity in their lesson plans, they get to use the dry erase marker to doodle an element onto their personal wacky portraits. The doodles, however, are not random; they correspond to activities in your piano lesson. Warm-ups, they use the dry erase marker to draw a goofy hat or toque on their portrait. Ear-training practice. they use the dry erase marker to draw goofy ears (elephant ears, bunny ears etc.) on their portrait. Sight-reading activities, they use the dry erase marker to draw goofy glasses on their portrait. Repertoire work, they use the dry erase marker to draw a “free choice” doodle (unicorn horn, antlers etc.) on their portrait. Piano games, they use the dry erase marker to draw a mustache on their portrait. Trevor and I take fun seriously. 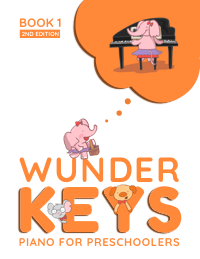 We believe that piano teaching materials should harness a child’s imagination and innate sense of wonder to teach music, and have used this belief to create piano method books that are different than any that have come before. 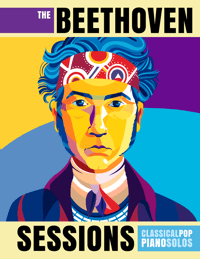 We know that piano books don’t have to be serious to facilitate learning. 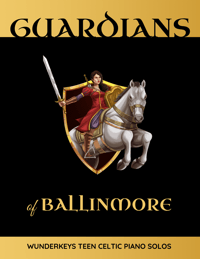 In fact, we believe the very opposite to be true; we believe children become better piano players when their method books are imaginative, fun, and exciting. 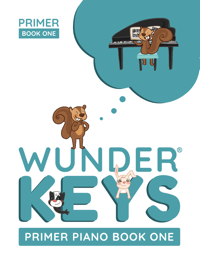 if you want to see exactly what that looks out, check out the WunderKeys Preschool, Primer and Level 1A method books on Amazon.